No Tar Sands Omega-Loads Shall Pass! As megaload hauler Omega Morgan attempts to defy the authority of the Forest Service and Federal Highway Administration (FHA) to review and regulate transport of massive Alberta tar sands equipment through the national forests and wild and scenic river corridor surrounding U.S. Highway 12 in Idaho, Wild Idaho Rising Tide (WIRT) appreciates, supports, and encourages the courageous resistance of Nez Perce tribal members. If the Portland, Oregon-based company imposes its 644,000-pound General Electric Corporation evaporator onto the Nez Perce Reservation from the Port of Wilma after 10 pm on Monday, August 5, WIRT activists will peacefully stand with our tribal allies in earnest solidarity against the genocide and ecocide wrought by this megaload’s impending bitumen extraction in Canada. We share deep concerns and opposition to the fossil fuel industry’s aggressive disregard and adverse impacts on the unique Nez Perce traditional homeland and landmarks, cultural and treaty-reserved resources, and tribal commerce and government function. Please meet to carpool from the corner of Second and Washington streets in Moscow at 8:30 pm and/or from Locomotive Park in Lewiston at 9:30 pm on Monday evening, to demonstrate our collective outrage at Omega Morgan’s plan to move the first of ten proposed tar sands shipments, measuring over 250 feet long, 23 feet high, and 21 feet wide, through the cherished lands and waters that sustain the Nimiipuu (Nez Perce) people. To learn about opportunities to protest and monitor this megaload, contact Wild Idaho Rising Tide at wild.idaho.rising.tide@gmail.com or at 208-310-2108 and 208-301-8039. Despite a February ruling by federal judge B. Lynn Winmill, affirming Forest Service/FHA authority over Highway 12 megaload permits, Omega Morgan barged two evaporators to the Port of Wilma, Washington, a few miles downriver from Lewiston, Idaho, on July 22, provoking urgent conflict with numerous opposing interests. On Friday, August 3, the Idaho Transportation Department issued a permit for pending transport of one of these megaloads, but the Forest Service has not granted approval for it to cross the Nez Perce-Clearwater National Forest and the Lochsa and Middle Fork of the Clearwater Wild and Scenic River corridor. 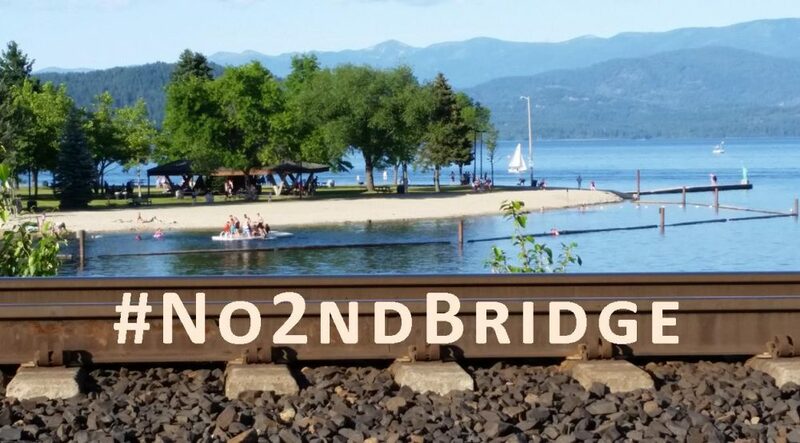 The Nez Perce Tribe executive committee passed an emergency resolution on Sunday, August 4, formally disputing these shipments through its reservation and homeland, as it challenged the Forest Service to use all legal avenues, including the courts, to stop them. The tribal executive chairman asserted that the “tribe will not interfere with its members’ constitutional rights to lawfully assemble in opposition to the immediate threat of the transport of these two megaloads” and that it “would not prevent its own members from blocking the load,…[when] actions beyond mere words may be necessary, in order to have the Nez Perce Tribe’s voice heard.”* Forest Supervisor Brazell has consistently reiterated that he will not allow the Omega Morgan incursion before consulting with the tribe, scheduled for August 20, but that he does not know if he has legal authority to physically block it. Brazell and Forest Service officials plan to respond to Omega Morgan’s announcement of its transport intentions on Monday morning, August 5. According to the contractor’s traffic control plan, its megaload would violate the first two of three Forest Service interim criteria for permit approval: it is greater than 16 feet wide and 150 feet long and would require more than 12 hours to travel through the national forest, but would not necessitate modification of the roadway or adjacent vegetation to facilitate passage. However, the Omega Morgan module would obstruct both lanes of mostly two-lane Highway 12, with full traffic stoppage for less than 15 minutes at a time and ongoing, rolling roadblocks during its four-day journey to the Idaho/Montana border at Lolo Pass. This entry was posted in Alerts, Nez Perce Protests by WIRT. Bookmark the permalink.